Through a special arrangement we would like to offer our guests the opportunity to hire equipment at a preferential rate giving a 20% discount for your ski equipment hire. 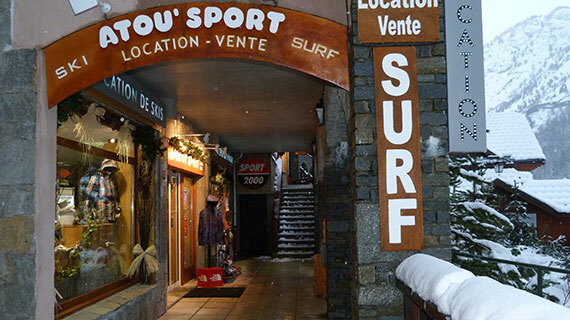 Our arrangement allows you to leave your skis etc at the shop after your day on the slopes available for you to collect the following day. If you wish to take advantage of this offer please let us know and we will make the reservation on your behalf. 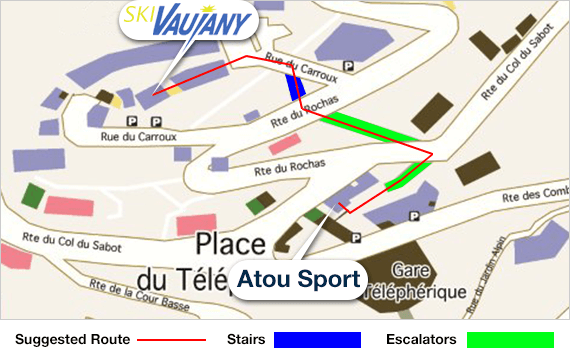 Atou Sport is a five minute walk via the escalators on the way to the Telephrique Station which is less than a minute from the shop.